The Abandoned Baby Center Nairobi Kenya was opened by Frances Jones in 2001. On a visit to Kenya, Frances Jones – who together with her husband Larry has been active in the child advocacy field since 1979 – noted many babies who had been abandoned and decided to do something about it. The Abandoned Baby Center (ABC)’s mission is to provide a temporary home for babies and toddlers who have been left by their parents. Often, the mothers have died because of AIDS. 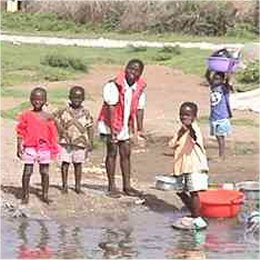 Every day 700 people die of AIDS in Kenya and there are an estimated 1 million child orphans due to AIDS in the country alone. In other cases, mothers have abandoned the baby somewhere because of extreme poverty or being single. ABC has built a 5 acre facility outside the Nairobi city centre with 4 cottages, a beautiful garden, a medical staff, playrooms, care cottages and child-development professionals. Over 100 babies have been saved from a likely death this way. One example is baby Daniel, who was found on a rubbish dump. Dogs had chewed on his face. He was brought back to life by the ABC staff. Later he was taken to Houston where surgeons reconstructed a part of his ear. Daniel is now doing fine. “He is one of the more extreme examples”, says Tony Sellars of Feed The Children, ABC’s mother organisation. As ABC believes that the best place for a child is in a regular family, not in an institution, it works to find a local family who is willing to adopt the abandoned and orphaned babies. ABC also tries to reunite the babies with their relatives. ABC has no principal objections against international adoptions. However, government regulations make it very difficult for families outside Kenya to adopt a Kenyan child. 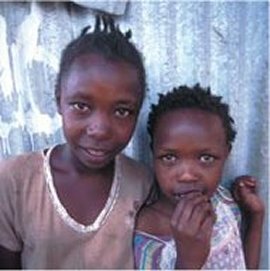 Therefore most children find a new home with a Kenyan family. Families from outside Kenya who want to adopt a baby, must comply with Kenyan government regulations such as the 90-day foster parent residency restriction. ABC is not an adoption agency but works together with such organisations. Simplifying international adoption rules would be a major improvement, says Tony Sellars. But with millions dying of AIDS or starving to death in Africa, it’s not exactly on the top of the Kenyan government’s priority list. However, he says pressure on governments everywhere in Africa is increasing quickly to reform their adoption laws. Here's more about adoptions in Kenya. Volunteering at ABC is possible. However, due to Kenyan government regulations volunteers must meet certain standards. As a result, ABC can only accept a small number of volunteers. They must cover their own costs, although accommodation can be provided for in some cases. ABC says that although it welcomes solicitations from all serious volunteers, it is especially in need of people with professional skills in: medicine, nursing, counselling, psychiatry, physiotherapy, child development, early childhood education, child nutrition, business administration, plumbing, carpentry, general construction, sewing and electrical installation. Feed The Children (FTC), the mother organisation of the Abandoned Baby Center, was criticised in the late 1990s for providing little information on what they spend their income on, and on spending too much on fundraising and ads. Since that time, FTC has started publishing yearly external audits of all it’s finances, which show that the bulk of it’s income is (now) spent on immediate relief work. It is possible to visit ABC in Nairobi and schedule a tour, after making an appointment.